Come into Miller’s Surf and Sport to explore the amazing selection of new and used gear, perfect for growing your adventure collection, or upgrading your worn and weathered items! We carry the highest quality gear at the best prices for surfboards, skateboards, longboards, bodyboards, snorkel gear, and accessories galore! Need a mount for your GoPro? Looking for the perfect wetsuit? 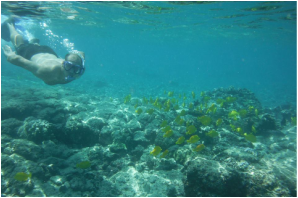 Do you need new water shoes or a rash guard? We can help! We are open every day, and conveniently located in the Kopiko Plaza, making it easy for you to come in and shop. With a wide variety of brands, we can offer great products to people of all skill levels and all ages! We sell gear on a first-come-first-serve basis, and for serious buyers, we are more than willing to hold items or help you with custom or special orders! For those of you who are just starting out as surfers, we highly recommend beginner lessons to set you up for success and safety on the water. 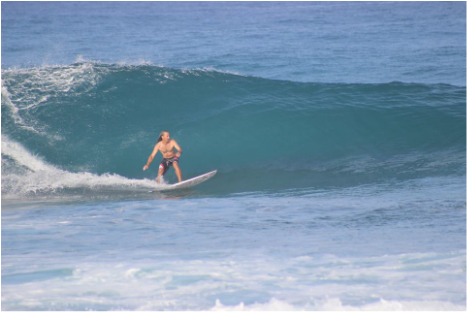 We have connections in the area with surf schools like Kona Town Surf Adventures, and can help you schedule lessons to get you off on the right foot! 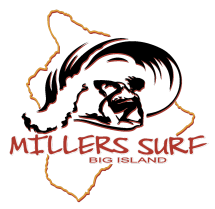 We at Miller’s Surf and Sport are all about the gear and all about living it up in the Big Island outdoors. We know that great gear makes a big difference in performance and in enjoyment! Visit us in store and we will recommend the product we think will work best for you.